The highly anticipated Bang Bang at the Rifle Club is set to open in mid-January 2017. The historic Caulfield Rifle Club site has been transformed by the Riverland Group, together with Victrack, to create a striking new urban escape set against the leafy reserve next to Elsternwick Station. 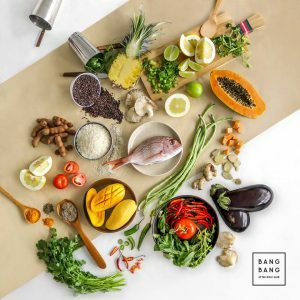 Bang Bang is an Indochine-inspired café and bar, serving everything from coffee through to cocktails, seven days a week until late. Six Degrees architects, in collaboration with Chamberlain architects, have designed an expansive indoor/outdoor space that blends the exotic with a touch of whimsy to create an inviting refuge from the daily grind. Head chef Matthew Dunbar (ex-Longrain) has created an enticing menu of dishes that respectfully interpret the flavours of Southeast Asia as influenced by French cuisine. “I think that more than anything, travelling through most of Southeast Asia has really simplified my approach to food. I just want to bring some really great food to Bang Bang and have people enjoy it,” says Matthew. Diners will start the day with Seven Seeds coffee and a satisfying breakfast from the all-day menu, with the likes of black sticky rice porridge and coconut broth, or a savoury dish such as congee with XO sauce topped with masterstock pork with crisp egg; smoked trout, prawn and spring onion; or charred corn, oyster mushrooms and ginger. Throughout the day baguettes or jasmine rice bowls come with a choice of vibrant fillings, such as crisp fried chicken, mint, coriander and chilli, or soft shell crab with papaya and tamarind salad. The substantial night-time menu begins with bar snacks such as crispy crickets and heavenly beef jerky perfectly paired with a glass of wine – likely local or French. Small share plates include tofu and crisp pumpkin laab, or a confit duck leg with pomelo and peanuts. 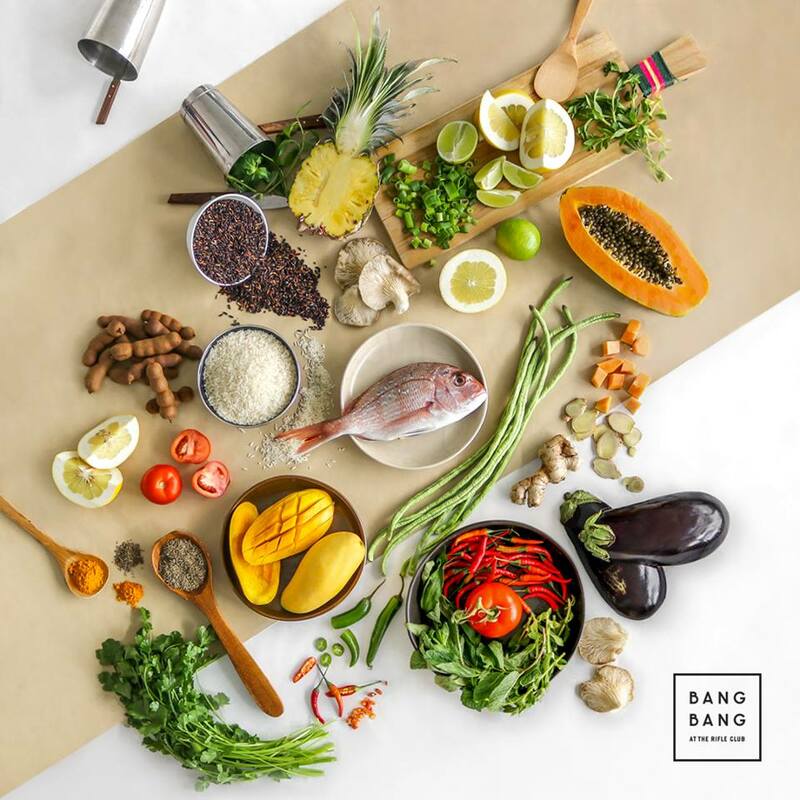 The flavours of French cuisine are especially seen in Bang Bang’s large share plates, such as rotisserie whole chicken with steamed bread, and chargrilled Cape Grim rump cap with wild ginger and holy basil broth both coming from the custom built fire pit. Bang Bang will be keeping the cocktail offering light and refreshing – ripe summer fruits will go hand-in-hand with the herbs and aromatics from the kitchen, perfect for warm evenings by the park. Bang Bang at the Rifle Club is the latest venture from the Riverland Group, the innovative company behind the revival of some of Victoria’s most iconic sites, including The Boatbuilder’s Yard, Pilgrim Bar and Wye River General Store. Headed by business partners Richie Ludbrook and Dave Sharry, the group works to breathe life back into local community venues, making them destinations that locals and tourists alike seek out. “Having previously operated a business in the area, I’m pleased to be re-connecting with many people from the local community. It’s particularly exciting to be doing so in such an iconic building, one that we’re helping to bring back to life,” says Dave.